To get Loopback App’s running on Heroku, a couple of hacks are required due to the way Loopback manages it’s configurations. The first issue to solve is to get Loopback to take the port number from the environment since Heroku uses arbitrary port numbers to target different applications. There is probably a more elegant way, however I first wanted to stay out of node_modules files, so I opted to just focus on modifying server.js. It’s actually very easy, since loopback internally supports passing arguments to the listen function all the way out from the server.js file. It does this by switching between automatic configuration and explicit configuration from the arguments passed to the listen function. So, basically it’s just amending the “start” function to fetch the port number from the environment and pass it as argument to the listen function. 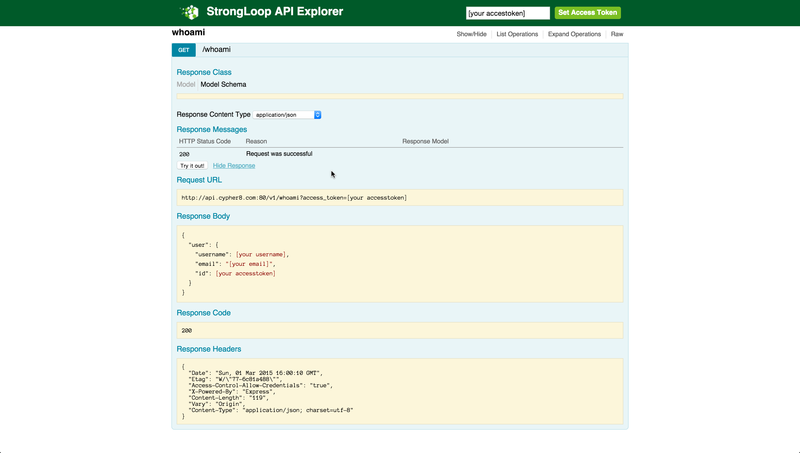 Retrieving the currently authenticated user in a Loopback Application can be done in many ways, and one of them is the one I want to share in this post. I wanted to be able to utilise the Angular SDK as well as the Explorer, so adding a routing manually in a boot script was not really an option, however simple that might be, so I decided to opt for implementing it as a custom Model. The first thing to do is to create a whoami.json and whoami.js file in the commons directory. And because of the ACL’s we set in the model, all requests without an access-token are handled by the security of Loopback… so there you go, a nice and easy WhoAmI !